* Featured Category – there is a special top-level category for highly recommended applications that we don’t have room for on the disc. This includes the GIMP and Abiword right now. We will add more throughout the release cycle. * Personal Package Archives – PPAs are now visible inside the software center. 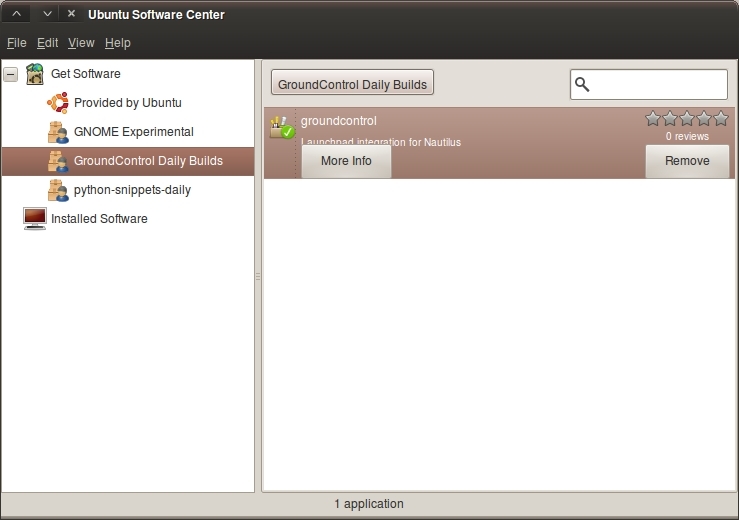 This is another step closer to making opportunistic development rocking in Ubuntu. Sounds really nice, especially the PPAs being visible. Hopefully the USC is a bit faster than in 9.10 though! Oh-Oh, there goes the need to install Ubuntu-Tweak! I kinda like the U-tweak, can they compromise? It’s cool! Thank you from Russia!